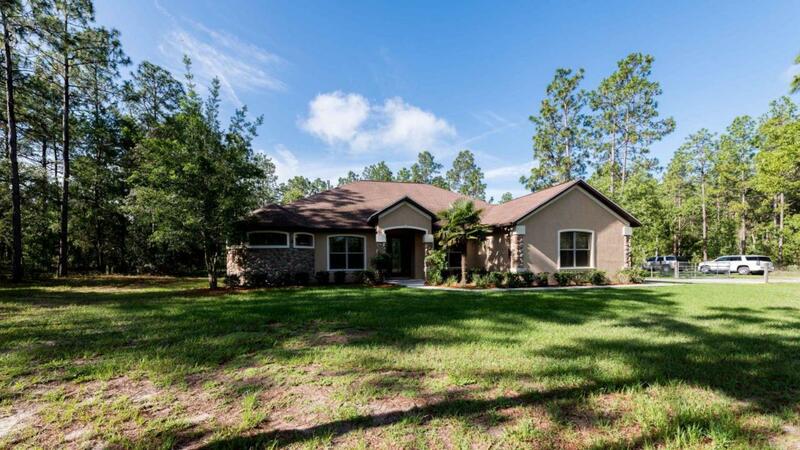 This gorgeous single level family home sits on a quiet street in Rolling Hills subdivision. Home appears nearly new with a very private lot. 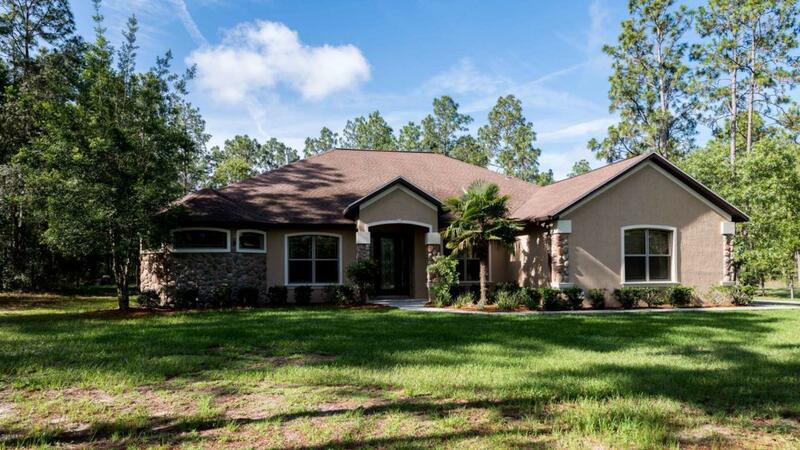 Home has many great features like private wooded views, spacious and open floor plan and two fireplaces. Upon entry you are greeted with very high ceilings and the natural beautiful views from the many windows and French style doors. The family room is massive with built in shelving, French door access to the backyard, recessed lighting, and cathedral ceiling. The kitchen extends off the family room and offers room for dining at the breakfast bar, a large walk in pantry with shelving, beautiful corian counter tops, high end Stainless Steel appliances, gas stove top, and tons of cabinet and storage space.Making this a great space for spending time with family, playing board games or enjoying a family meal. Two spacious guest bedrooms and a office that can be converted into a fourth bedroom. The guest bathroom is also spacious with nice fixtures and has outdoor access to the lanai and pool. The light and bright Master bedroom features high ceilings and recessed lighting and a fan. Highly upgraded master bathroom offers walk through shower with dual shower heads, upper end cabinets, recessed lighting, ample cabinet space, corian counter tops and dual vanities make pampering yourself a breeze! Inside laundry room is quite nice. 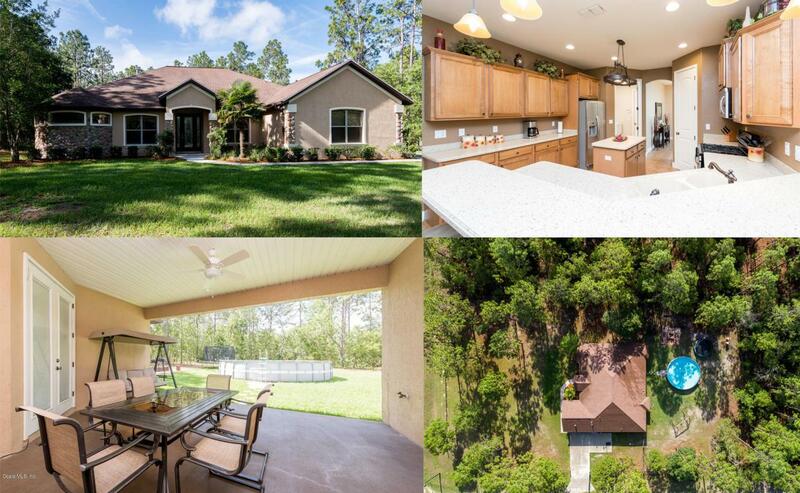 Enjoy the beautiful wooded views and the privacy, your shady backyard has to offer as you sit with your loved one or barbecuing with friends and family while the kids run and play. 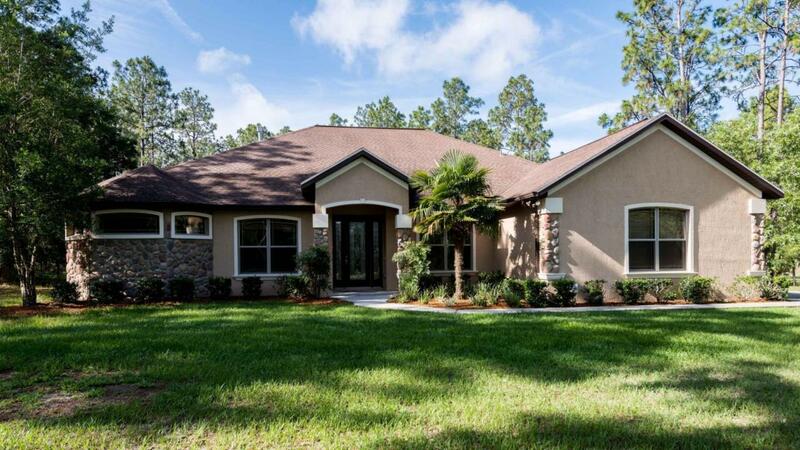 Homes this outstanding do not stay on the market long! Just a short 10 minutes drive to shopping, hospital, restaurants and much more.